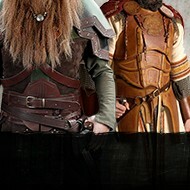 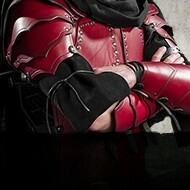 It is impossible to imagine live role-playing without leather armor with all its variations, styles and designs. 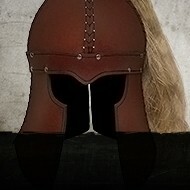 They often fulfil more than the need for protection from the enemy's weapons. 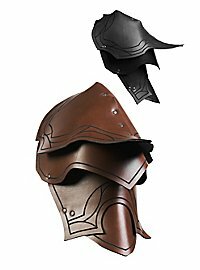 They are sometimes more like part of the clothing than armor. 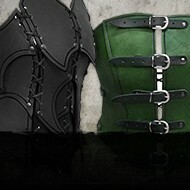 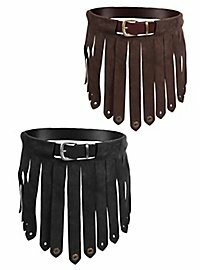 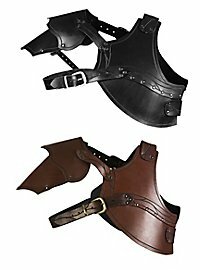 The fantasy genre offers countless examples of leather armor or leather clothing in many different contexts. 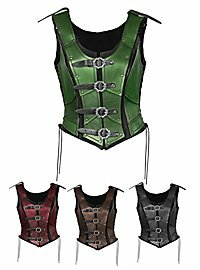 The dark Assassin looks much more impressive in his black leather armour, the elven ranger would never wear a metal armour, but he would not renounce his leather scale armour and the brave Viking warrior likes to swear by the thick leather scales of her lamellar armour. 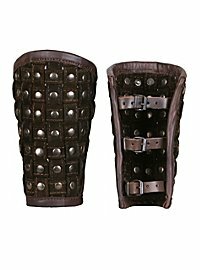 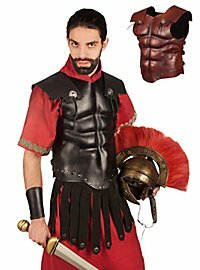 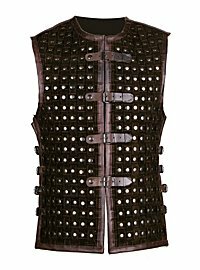 The presence of leather armor over the years has led to the fact that it has also been used in historical settings, even though leather as a material for these things has been used far less often in reality than Hollywood would have us believe. 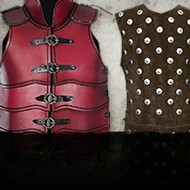 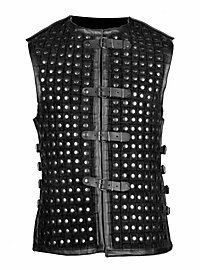 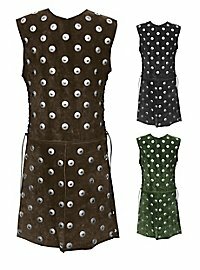 Nevertheless, there are enough possibilities to use leather armor in the fantastic area. 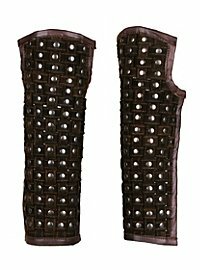 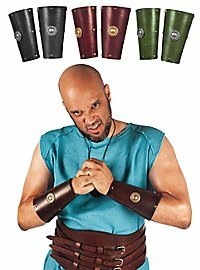 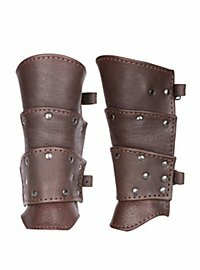 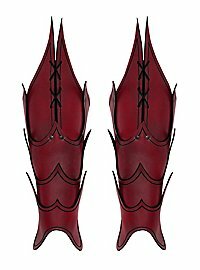 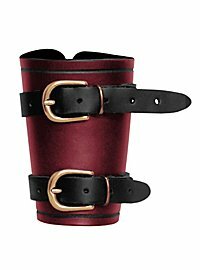 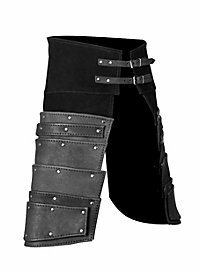 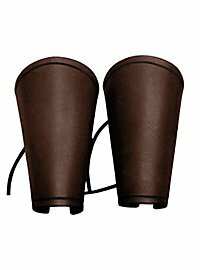 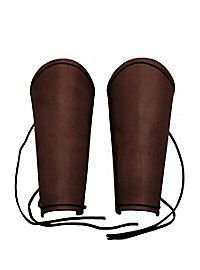 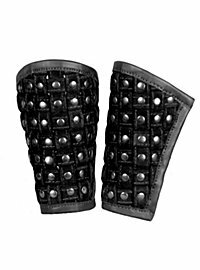 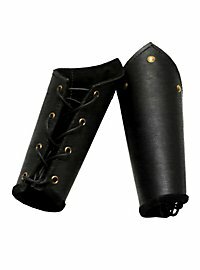 Some players use leather armor and bracers or greaves made of leather, because they are quite light and still provide a certain amount of protection. 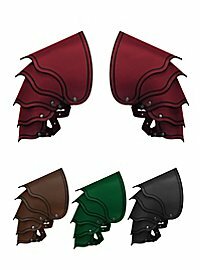 Another good reason is that it is much easier to work leather than metal. 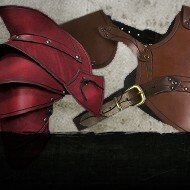 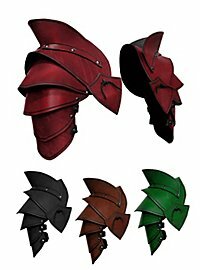 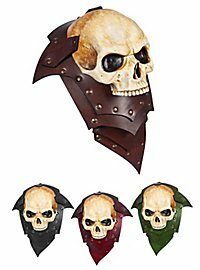 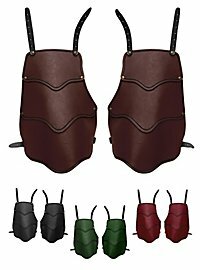 This motivates many people to upgrade their own equipment with self-made leather parts, or even complete armour. 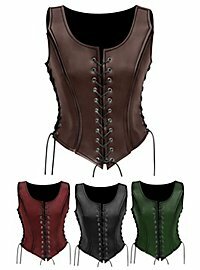 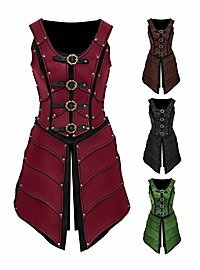 In fantasy, as I have already said, there is a lot of potential: for example, leather armor for women who do not want to give up a certain amount of femininity, which historical armor might not be able to do. 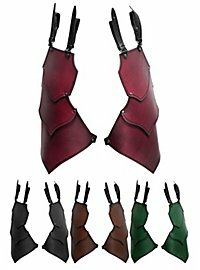 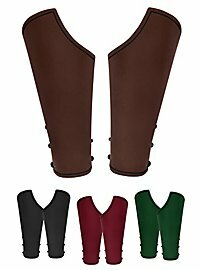 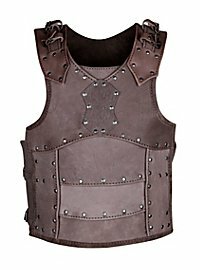 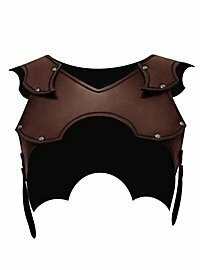 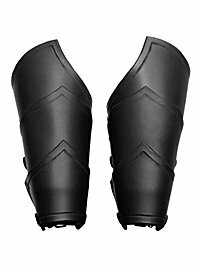 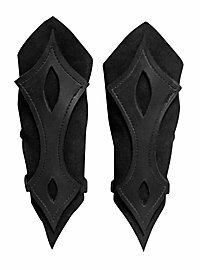 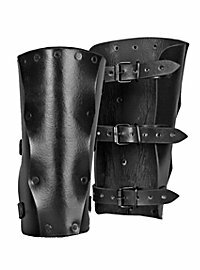 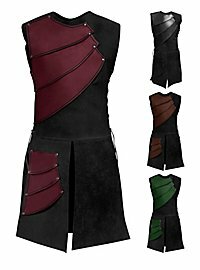 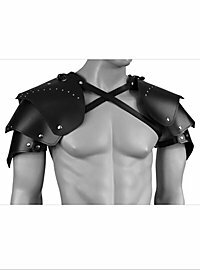 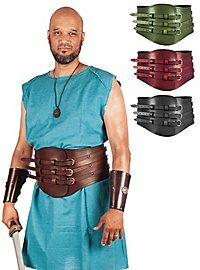 In Larp, leather armor offers high wearing comfort, is light and easy to put on and not particularly maintenance-intensive. 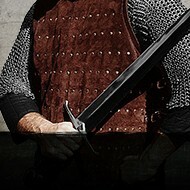 You don't get a heat stroke in the summer and racing is much easier in a leather outfit than in chain mail. So whether it's a medieval festival or a live action role-playing game, leather armour is a good choice for rangers, rogues, assassins, magicians and all fighters who want to stay agile. 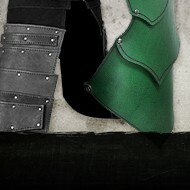 At Andracor we always make sure that we meet as many of the above requirements as possible. 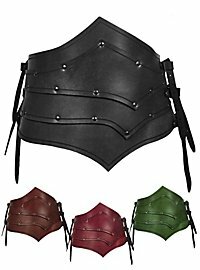 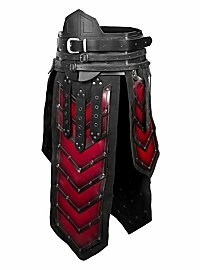 So, if you order an armor from Andracor and later own it, you can be sure that you will get an armor for the price, which you will enjoy for a very long time. 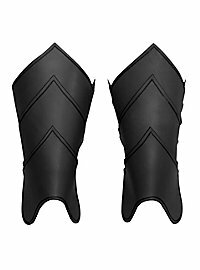 Not only because of the high quality of the materials and the wearing comfort, but also because every armour feels right and not like an annoying restriction. 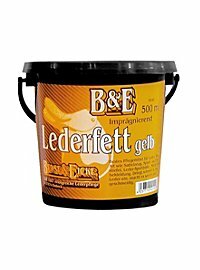 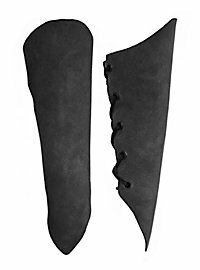 We try to update and improve our designs on a regular basis and present new products. 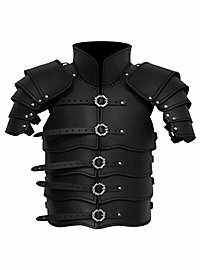 All the armor produced in our workshop in Germany is manufactured with great attention to detail and made of the best materials, but also put to the acid test before they leave our workshop, in order to provide their future wearer with the best possible armor he could wish for. 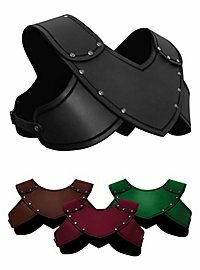 Every armour manufactured by Andracor is made of durable, robust materials. 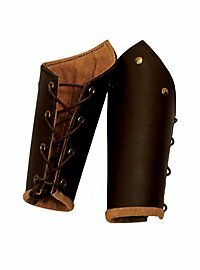 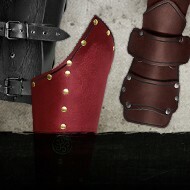 For our armour and many of our accessories we use 3-4mm thick vegetable tanned upper leather.